Gary, I think it is a good idea to know the energy consumption of a house and this could be just one more thing that sways a buyer into buying one house over the other. It will be interesting to see how this may affect sales of lower energy efficient homes. Thank you Tom for following. 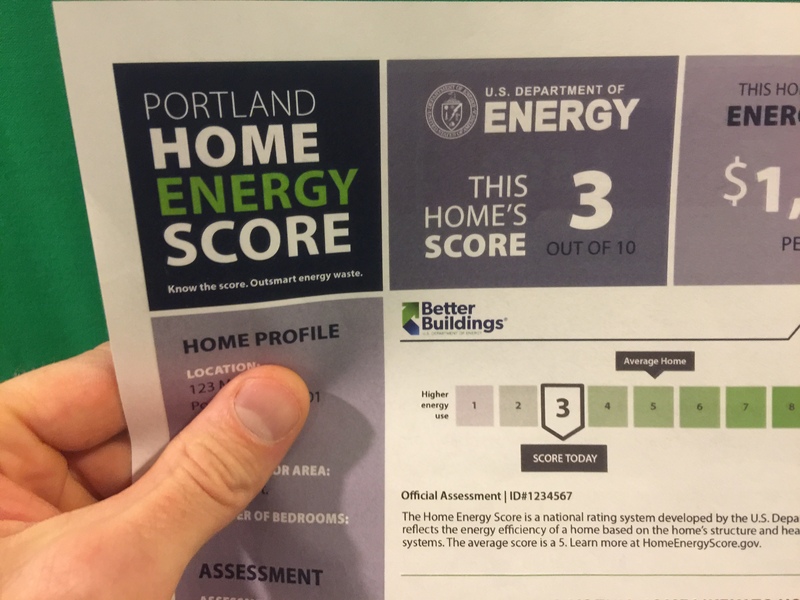 I think over time, Portland's Home Energy Score will start to make the less efficient homes functionally obsolete. There might be a day where energy efficient improvements are just as important as curb appeal. Thanks for the post. I'll be watching what happens in Portland. I think this is something that will be coming to other markets in the United States, but Portland is ahead of the curve. In other words you are the energy guinea pig so to speak. I'll be anxious to see how the energy score impacts buyers' perception of value (or not). Thank you Ryan, my thoughts exactly. If the Portland Home Energy Policy has the intended outcome of reducing the city's need for power production, then other cities will follow.